Anyone who meets superstar Rajinikanth usually comes away completely mesmerised by his charm. When Visaaranai hero Dinesh, actually got to share screen space with the superstar in Kabali, he came away enveloped by the Rajini magic. In a chat with us, he gives us a peek into the Kabali world and shares some 'behind the camera' moments with the Superstar. Naturally, we want to know about his role in Kabali. 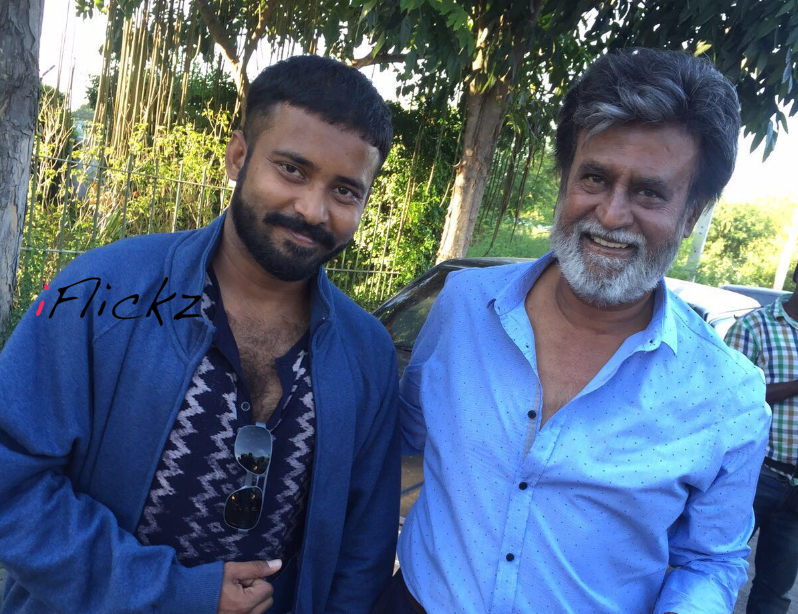 "I have a completely different look in Kabali," says Dinesh. "I can't reveal anything about the story. All I can say that I play a character named Jeeva. I have a closely cropped hairstyle and several tattoos. On one hand is the tattoo of my name and on the other, is the tattoo of a Koi fish." Koi fish (that can swim against currents ) tattoos are quite popular as they represent good luck and people who rise above adversity. It remains to be seen why director Ranjith had used this particular type of tattoo for Dinesh's character and what role it may play in the story. And again when Rajini saw Vetrimaaran's Visaaranai in which Dinesh had acted as the tortured prisoner, he was all praise. The film has received several awards internationally. 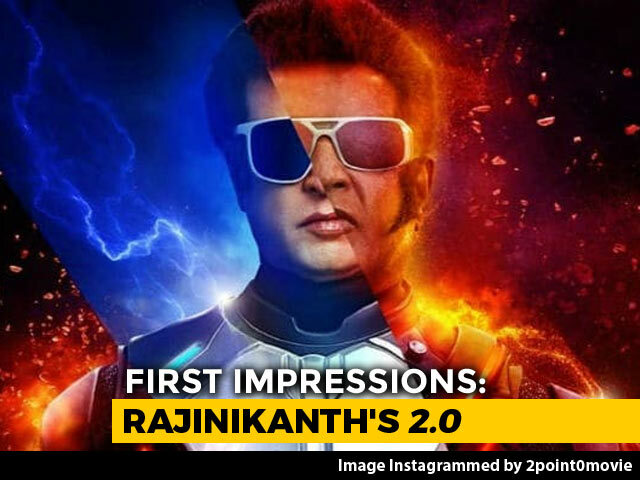 Dinesh recalls, "Just ten days into the shoot, one day when I reached sets, Rajini sir greeted me and heaped praise on the movie and my performance in front of everyone. I was so moved, I was actually shivering. It was a huge recognition coming from someone of his stature. But that's just him. He always appreciates and encourages others when he likes something." All the schedules of the film are now complete and the team is back in Chennai. The music is by Santhosh Narayanan who made his debut in Bollywood recently with Saala Khadoos. Post production work is on in full swing. 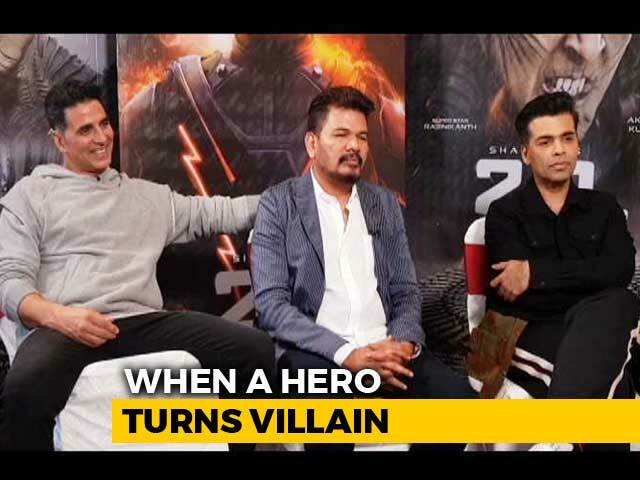 The film has been shot in several locations apart from Chennai, including Bangkok and Malaysia. 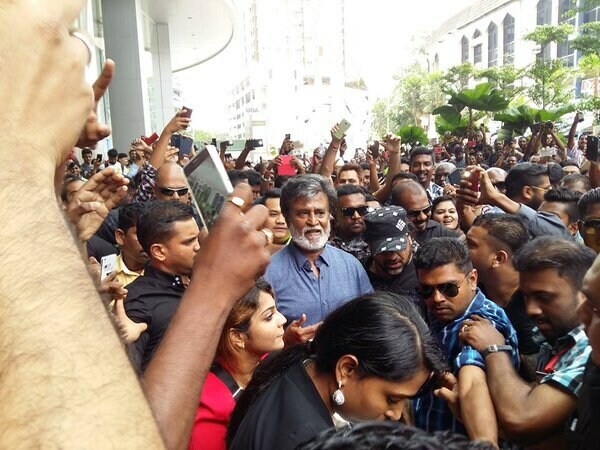 The immense crowds thronging to see Rajinikanth during the Malaysia shoot were seen in photos all over social media. Dinesh recalls, "The crowds were so large that we could hardly shoot. I remember, one day, Rajini sir had to go for lunch but the crowds were still strong outside. Instead of leaving by the alternate route arranged for him bypassing the crowds, he said, 'I'll go and meet the fans first, since they have been waiting for a long time. That way they too can leave for lunch.' No matter how many people come up to click photos with him, he's never perturbed and greets everyone with the same smile. For a young actor like me, that was a huge learning. Even if the director would shoot without lunch breaks, Rajini sir would continue to work like all of us. He is a complete powerhouse of energy and would infuse us with the same enthusiasm for work." Dinesh remembers spending several moments in conversation with the superstar, and coming away with a different world view each time. "I was under the impression that only newcomers like me had to work hard and long hours. But seeing the superstar working so hard and at all hours, despite his stardom and stature has left a deep impression on me. I realised the importance of his words when he said, 'At all times, giving your best with speed and efficiency will yield results in cinema.' You have to put your best foot forward always no matter how many films old you become." The Rajini effect seems to have left a deep impact in Dinesh. "I've been wanting to quit smoking for a long time and been trying to do so. Rajini sir during one of our chats after shoot, told me, 'everything one does has an equal and opposite reaction. So you have to careful about the choices you make,' referring to my smoking habit. The words stuck in my head and made my resolution to quit, stronger. Its two months now since I touched a cigarette."